Formally acknowledged as the Republic of Angola, this South African country is bordered by Zambia, Namibia and the Democratic Republic of the Congo. This is also the seventh largest country across the African continent that is abundant of several natural resources like natural gas and various minerals. Since Angola has been colonized for 27 years by Portugal, its influence on the country’s culture and architectures are truly evident. Apart from being the capital and largest city in Angola, Luanda also plays a significant role in the country’s economic, industrial and urban aspects. This destination showcases a perfect view of the Atlantic Ocean with its exotic yet stunning ambiance. Luanda is currently undergoing major reconstruction to enhance its characteristics as a sign of growth and development. Sister cities Benguela and Lobito are oftentimes acknowledged as one because of its twin significance to Angola’s trade industry, especially its transport aspect. This destination has a perfect blend of the alluring view of the seashore and Portuguese-inspired architectures along the road. Benguela is gradually being developed and promoted to be one of Angola’s tourist destinations. Considered as one of Africa’s largest waterfalls standing at a height of 105 meters and 400 meters wide, Kalandula Falls truly deserved to be one of the natural wonders of the world. This destination offers a breathtaking view of nature with its waters running along the Lucala River. Kalandula Falls is recommended to be visited between the months of September and April, as the rain adds more enchantment to the waterfalls. Known as the only functional national park across Angola, Kissama National Park was once a hunting area in 1938 until it was declared a national park in 1957. This destination showcases wildlife animals such as water buffalos, antelopes and elephants. There are also sea turtles within the park and other species like manatee, eland and waterbuck. Kissama National Park was also affected by long years of Civil War, but wildlife was able to survive even in small number. Also called as the Tundavala Cliffs or Fenda da Tundavala in Portuguese, this inviting gorge is one of the main attractions in Angola. This destination presents a picturesque view of the plains encompassing the cliffs as well as the beautiful sight of Serra da Leba. Tundavala Gap is also a good spot for climbing and hiking because of its natural formation. 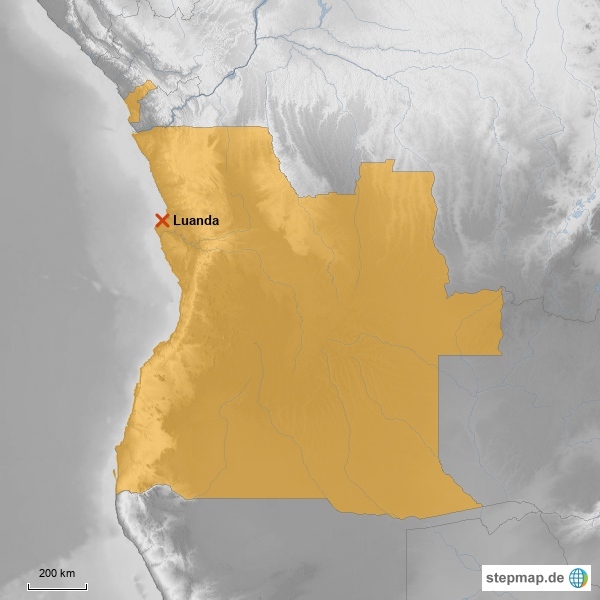 Cabinda, which is one of Angola’s main oil ports because of the huge oil reservoirs surrounding the area, is also one of the smallest towns in the country. This destination’s history is rich and complicated because of secessionism. Cabinda also produces cocoa, hardwood and coffee apart from their large production of crude oil. This town may be going through conflicts and issues, but its tropical forest and some preserved natural beauty makes it worth visiting. Iona National Park, which is the largest and oldest national park across Angola, was once rich and abundant with wildlife and other animals. This destination showcases exciting and inviting cliffs. In addition, its mountains and fascinating rock formations are perfect for a thrilling adventure. Iona National Park was initially declared as a reserve in 1937 but eventually became a national park in 1964. Here lies the most important spot in Namibe, known as Namib Desert – the oldest desert across the globe with an approximate size of 310,000 square-kilometers. Namibe, which is considered having the best climate among other territories, boasts abundant nature including its rivers that are rich is several species of fish, and is where the largest island in Angola is situated called Tiger’s Bay. The home of several bird species, Lake Arco is a freshwater oasis within the Namibe Province of Angola. This destination offers breathtaking view of nature and exciting experience of bird watching. Some of the bird species that can be found in Lake Arco are weavers, water birds and raptors. Aside from viewing picturesque sand cliffs, visitors of Lake Arco can also enjoy fishing within its local villages. The intention of building this museum is to show the history of slavery in Angola and how it was operating. This destination showcases the captivating slavery history of the country, which also exhibits artifacts and properties of one of the largest slave-trader Álvaro de Carvalho Matoso. Museum of Slavery was established in 1977 and is situated in Morro da Cruz - a town in the country’s capital Luanda.